Feb 11, 2017: Just built my first computer. Can't get anything to display on my screen? May 08, 2017: Ryzen upgrade, MOBO dilemma. The 20$ difference! May 31, 2017: [Build Help] Making my final choices, would like a quick lookover. 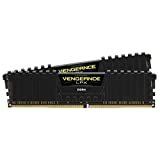 Sep 29, 2017: What RAM speed for my Intel 8th Gen rebuild? Jan 02, 2018: [Build Upgrade] Upgrading now outdated build, GTX760, 8GB RAM to 1440 capable. Feb 23, 2018: No signal found while PC running. May 02, 2018: How can I make this build more cost efficient for my needs? Feb 16, 2019: Can I combined these two RAM?